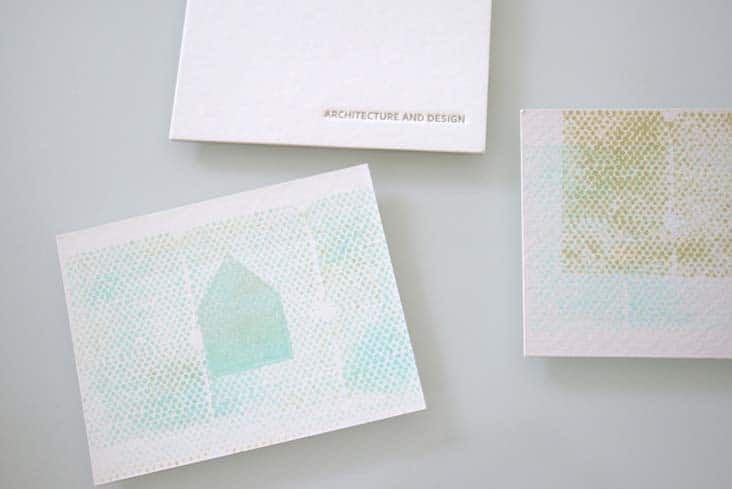 Haven Business Cards « Stitch Design Co.
Heather Wilson of Haven Architecture came to us looking for a unique identity and customizable stationery set. 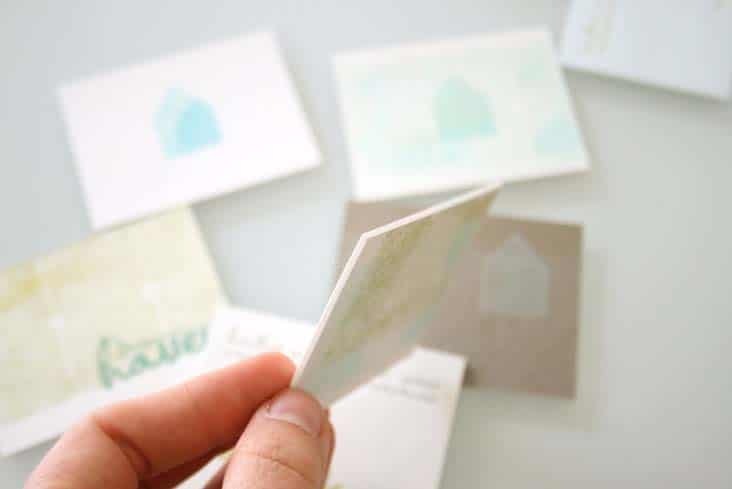 For her business cards we used several different shades of white and grey mat board as the stock, letterpressed her contact information and then developed a series of rubber stamps for Heather to customize each card with. 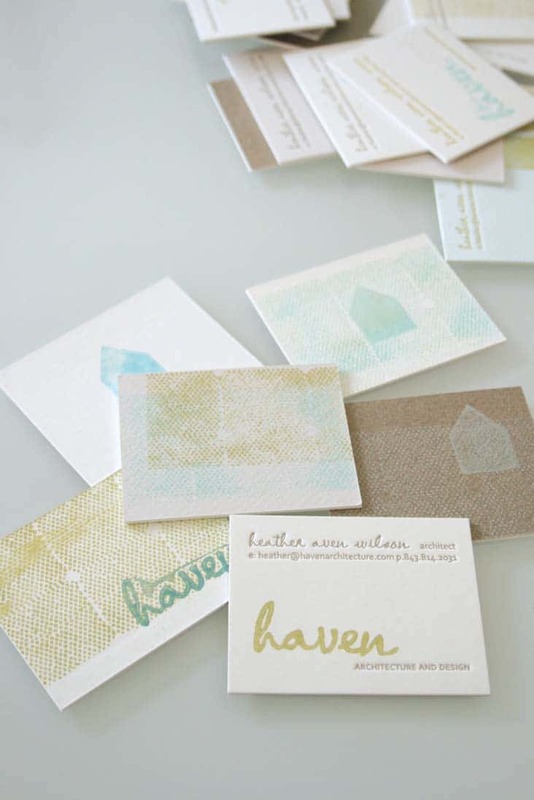 We printed 250 cards and know that with Heather’s creativity no two will be alike. love that heather can customize them + the weight of the mat board looks great. Thanks Jane! 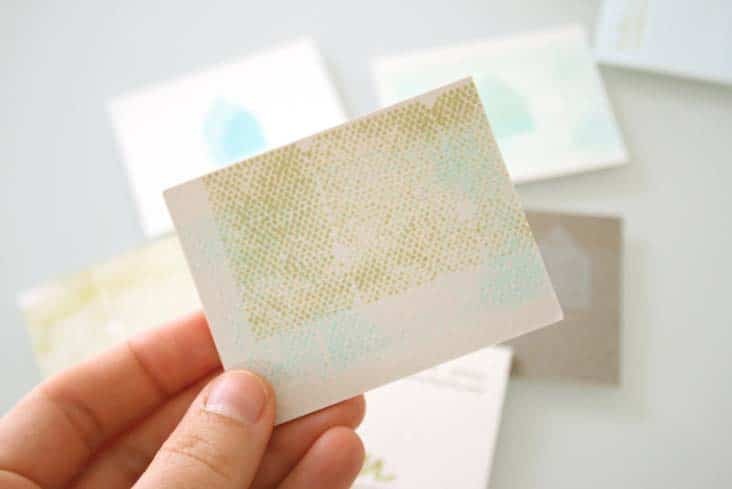 We've loved looking at all your pics from the Stationery Show on Simple + Pretty!